Ever heard the expression, the way to a mans heart is through his through his stomach? Well it is also through allowing him to play his computer games, giving him some sweet loving and many other things too. 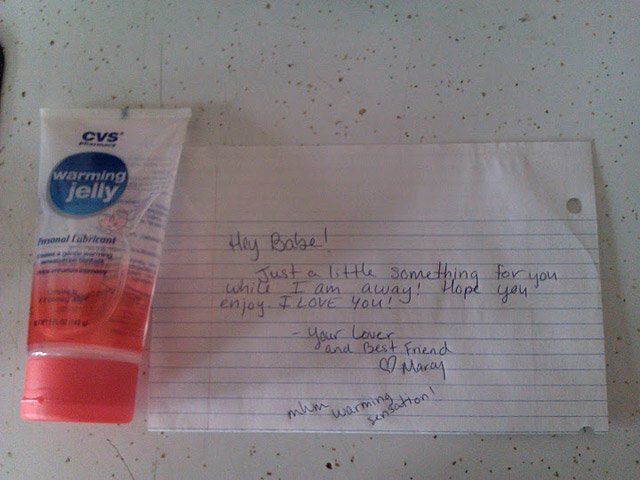 As a girlfriend, often times it is all to easy to expect the guy to be the one who buys the gifts and spoils us rotten. 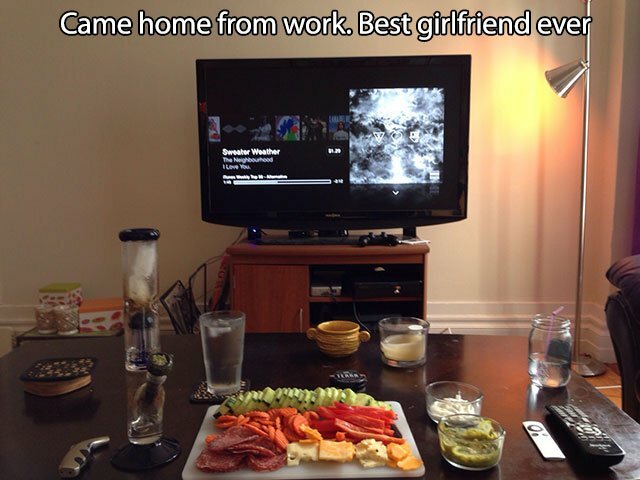 But then there are those girlfriends that go the extra mile to make life pretty awesome for their boyfriends. 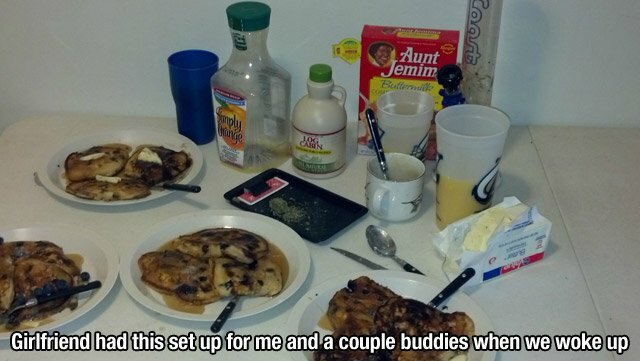 These 21 girlfriends and wives all understand this and have taken things to the next level. 1. 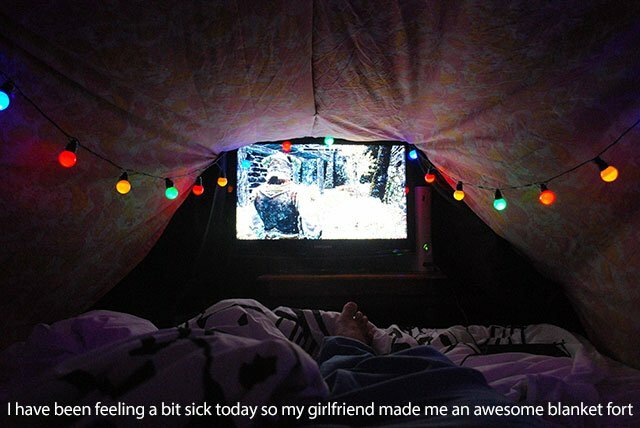 He felt ill so she made him a den. She made this little den for him to lay in while he recovered from being sick. He could watch his favourite shows while he lay there. The lights do not actually look all that safe though lol. 2. She challenged him when he got home. 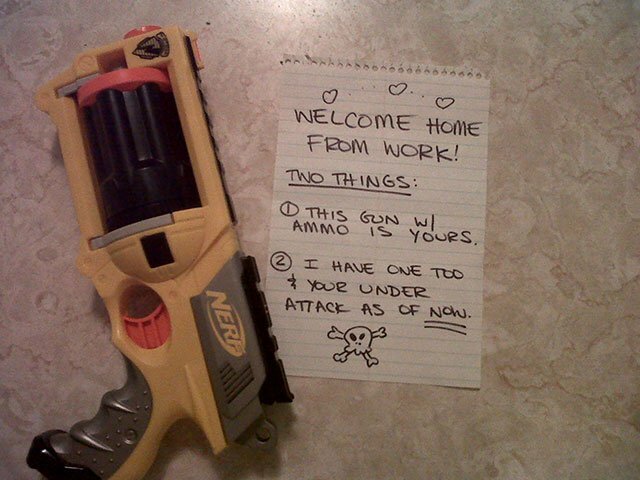 Every guy secretly wants to play Nerf with his girl. 3. Every mans favourite day. 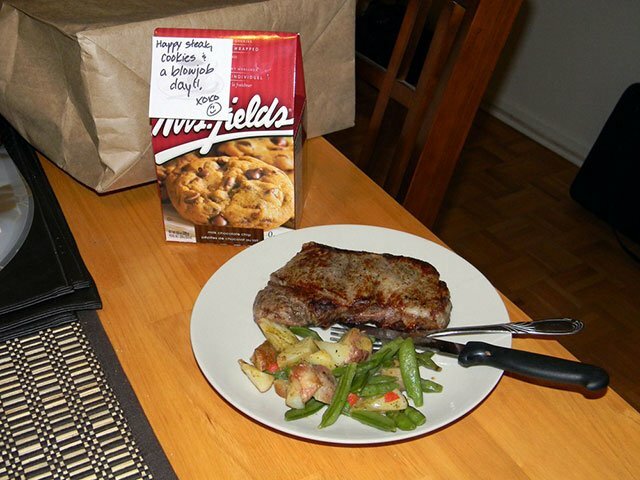 Steak and BJ day. What man would refuse this! 4. She just wants to spend time with him. After a long day at work, this is such a lovely thing to come home to. 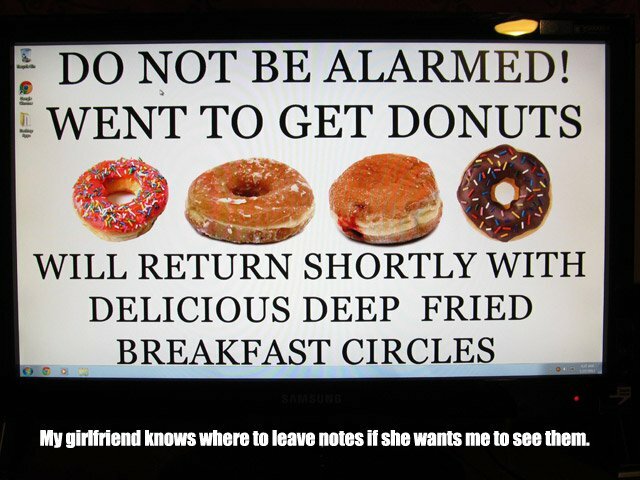 5. Who doesn’t love a donut? 6. How to win favour with your mans friends. 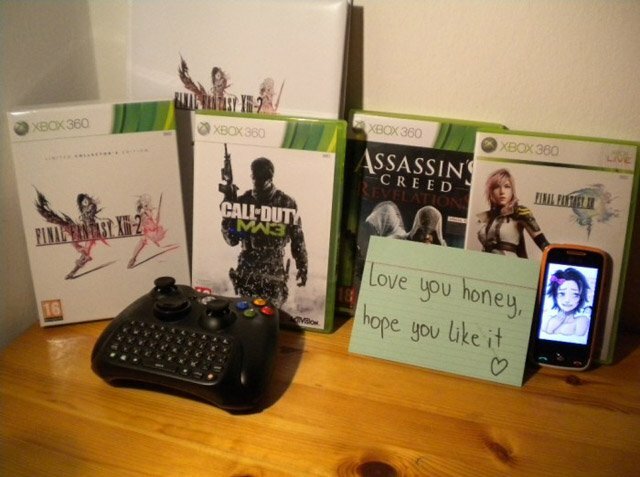 This girl definitely knows the way to a mans heart. 7. When she is away she knew what he would be up to. He has been given the green light to get jiggy with himself while she is away. Better than him looking for other girls! 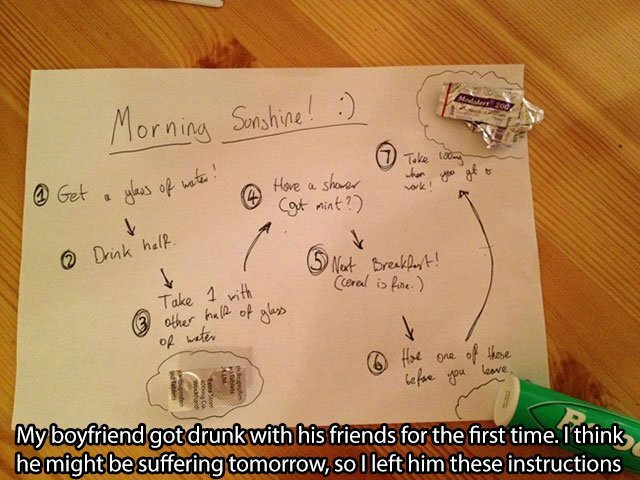 After a night on the alcohol, this should help him out. 9. She knows how to make things fun. 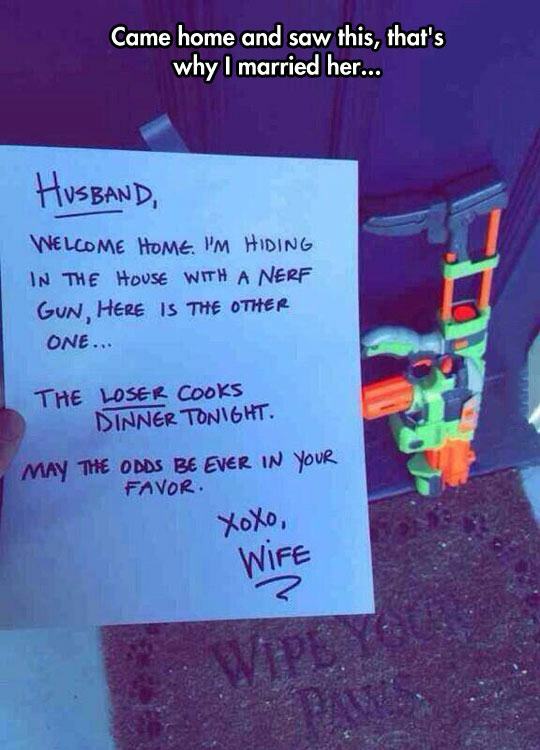 She clearly knows that every man is a boy at heart. 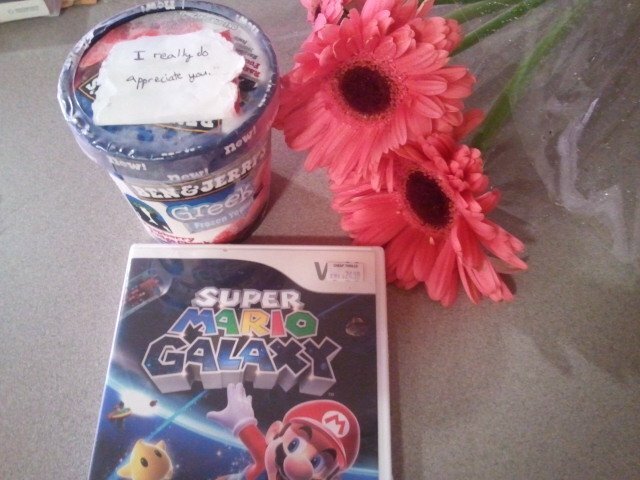 Ice cream and video games. Winner! 11. 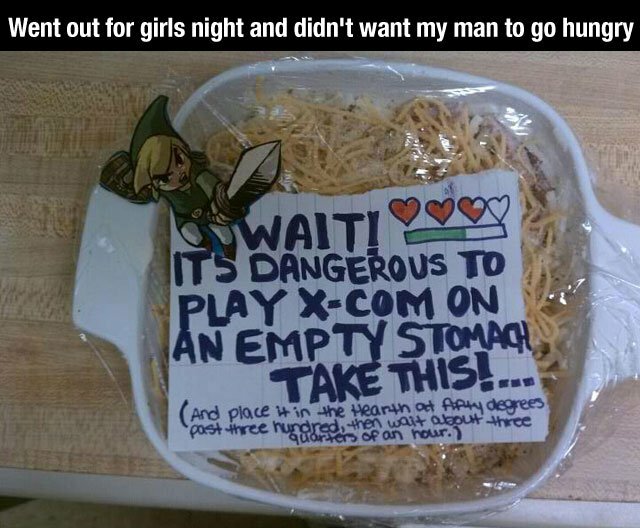 She even made him a Zelda themed note. Even the drawing is awesome. 12. What a nice selection. I think she will be getting a great Christmas gift this year. 13. 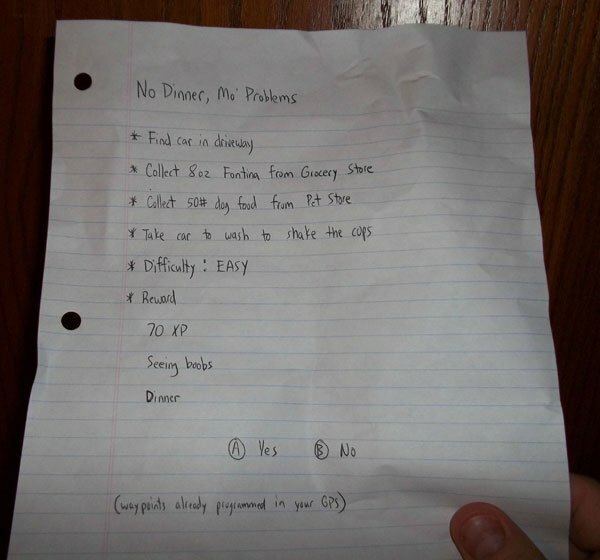 Turning chores into a game. 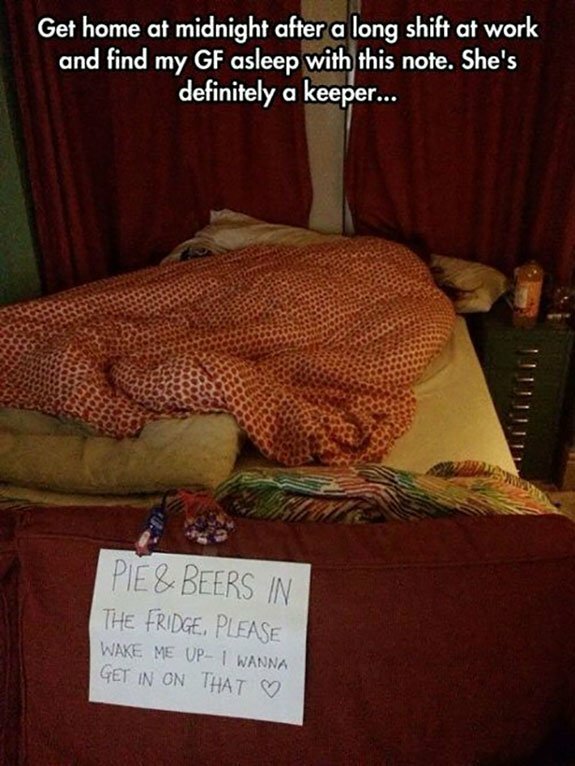 How to make chores sound fun! 14. Birthday cake fit for a king. 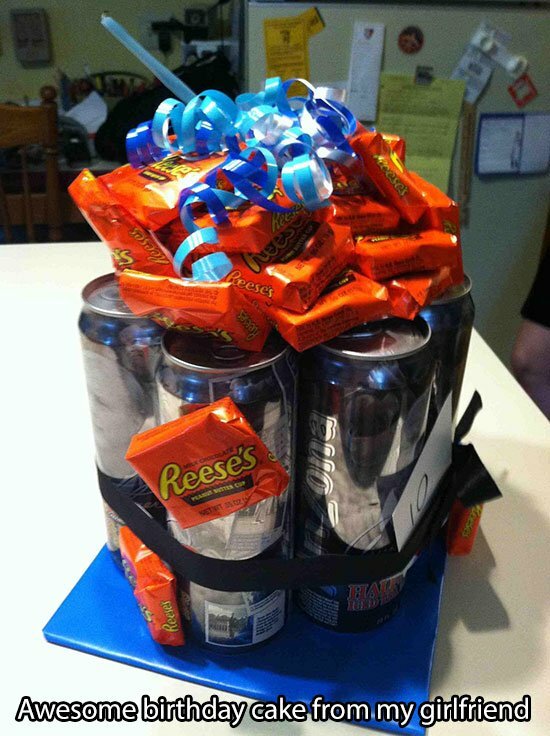 To a man, this is the prettiest cake imaginable. 15. 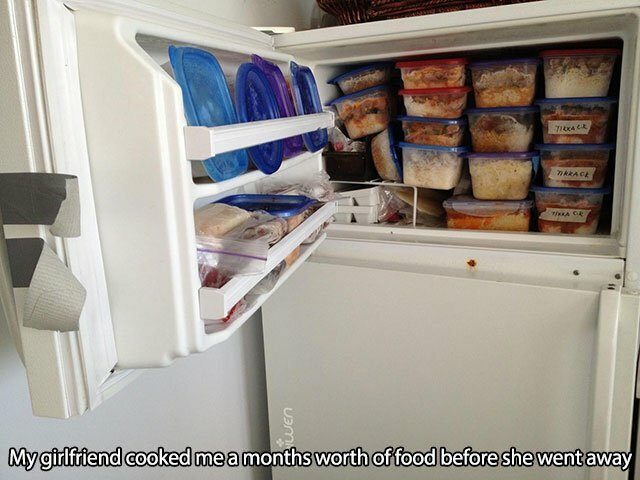 She went away and didn’t want him to starve. He just needs to work out how to use the microwave now. 16. She knows how important logging a checkpoint really is. 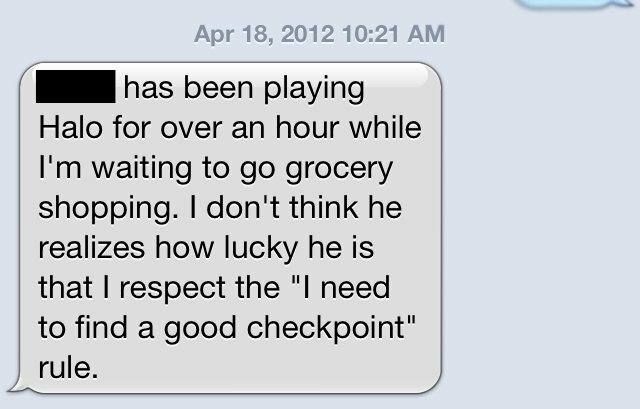 She even knows the video game rules. One thing most men will never get. An admission she was wrong. I hope he doesn’t lose this.